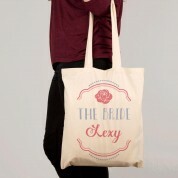 This cute customised canvas bag is the perfect accessory for the Bride to be! 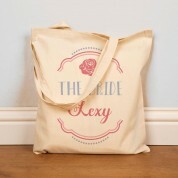 It features a vintage rose design along with 'The Bride' text and her name. 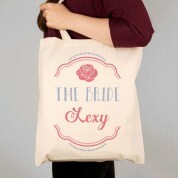 Fill it with essentials for the hen do, or present it to her with pampering products to calm her before the big day! A handy gift to re-use again and again!